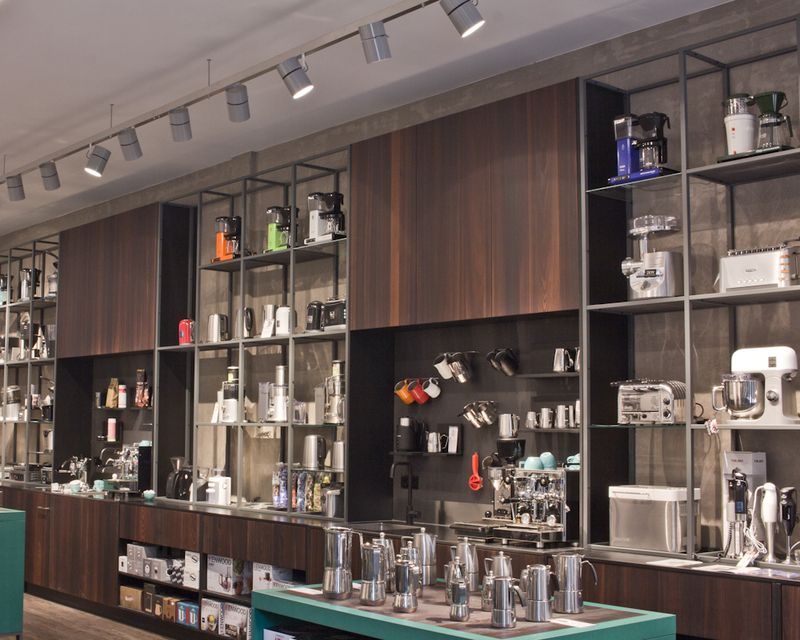 Since 1951 Van Pommeren at the Lijnmarkt is the specialist for coffee and coffeemachines. A complete renovation and a new interiordesign by John de Wit gives the shop a fresh new start for the coming years. gives the best presentation for a wide range of chrome polished coffee and espressomachines.